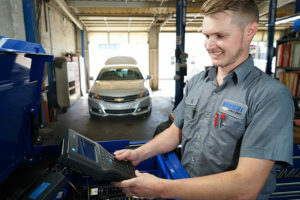 At Nimnicht Chevrolet, our highly-qualified technicians are here to provide exceptional service in a timely manner. From oil changes to transmission replacements, we are dedicated to maintaining top tier customer service, for both new and pre-owned car buyers! We service all makes and models. We’ll take care of all your parts and service needs for your Chevrolet. Whatever your car service need, we’ve got you covered! 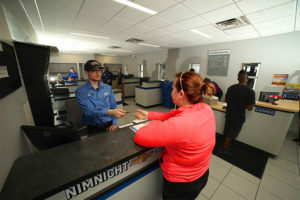 Nimnicht Chevrolet is home to the largest parts department in the region, stocked with high quality goods like AC Delco and Genuine GM Parts. Allow our staff to demonstrate our commitment to excellence! If you’re in need of more specialized service, please contact us directly for a full list of services offered at Nimnicht Chevrolet. To make things even easier for our clients, you can conveniently schedule service appointments online. You can also check back periodically to see what service specials we’re currently featuring to enjoy even more savings! We look forward to serving our customers from Jacksonville, Orange Park and St. Augustine, FL. 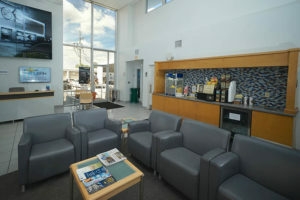 Why Choose the Service Center at Nimnicht Chevrolet?